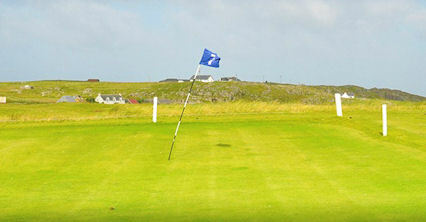 This is the most westerly golf course in the United Kingdom, ensuring it retains its must play status for every ardent travelling golfer. 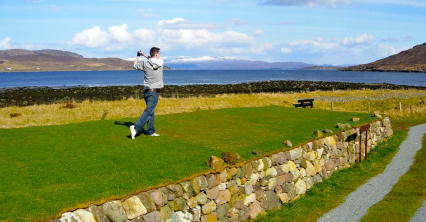 This nine-hole course layout, like many of Scotland's island courses, is full of character and charm. 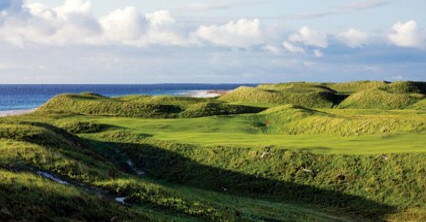 The natural turf provides +a quite exquisite playing surface all year round and the elevated links with natural contours are especially pleasing on the eye. 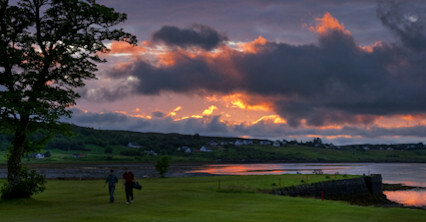 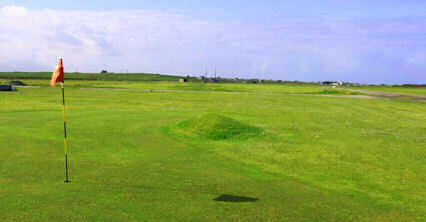 The landscape around the course, and the town itself, is extremely special. 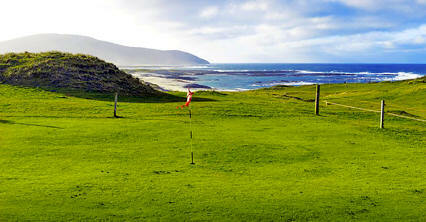 It is here where you will find rolling moors, rocky cliffs and beautiful white beaches - the golfing photographer's dream. 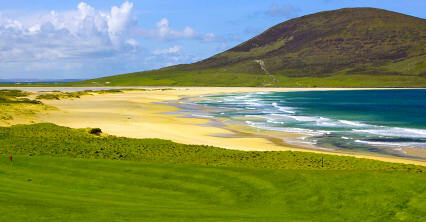 Six miles from Castlebay overlooking the Atlantic Ocean and some of Barra's best beaches.